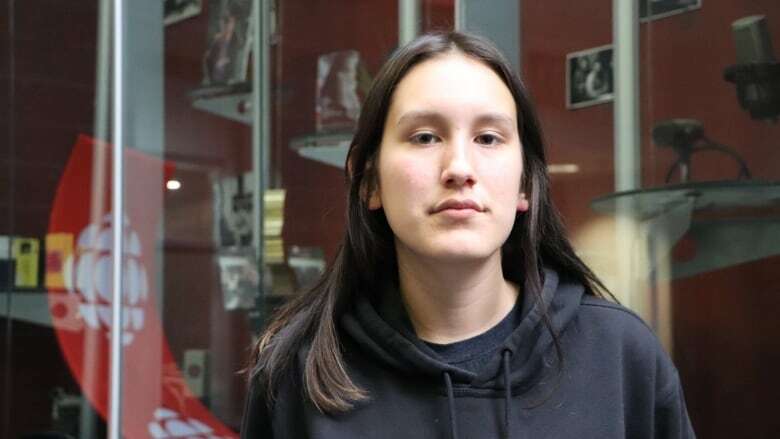 16-year-old Mia Tenasco, from the Kitigan Zibi Anishnabeg First Nation, is standing out as a leader of her generation, speaking out about violence against women and the potential she sees in her generation to push through gender inequality. 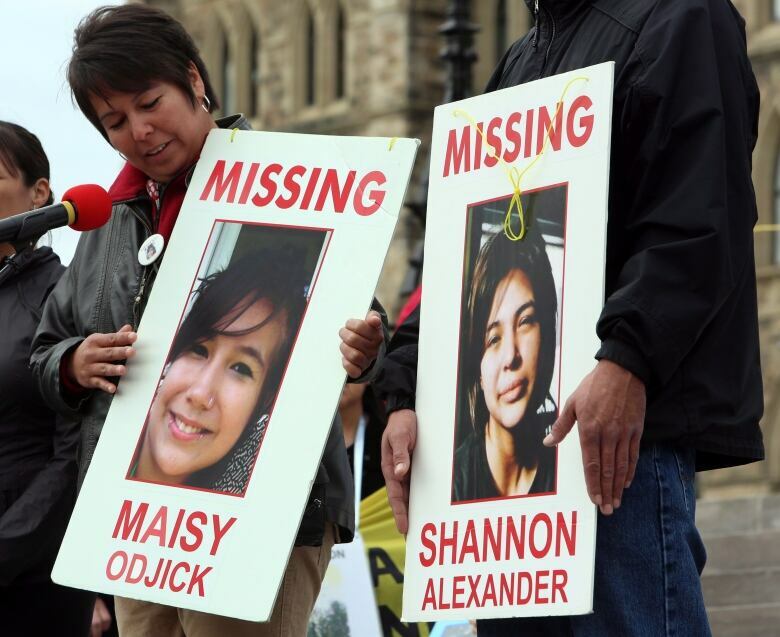 Mia Tenasco said her childhood was forever changed in 2008, when two young women from her community went missing —​ Maisy Odjick, 16, and Shannon Alexander, 17. As their families searched for answers, Tenasco remembers how fear took over the Kitigan Zibi Anishnabeg First Nation, putting an end to carefree afternoons in her backyard with her sister. Ten years later, Maisy and Shannon are still missing. "It definitely put a scar on our reserve. Even now, it's still there and we're still afraid of going out. So I definitely think it had a huge impact on everybody." As a teenager, in an effort to connect with her Indigenous roots, Tenasco felt inspired to write about Maisy and Shannon, and the mark their disappearance left on her family. "Nobody was really talking about it anymore and it hadn't been very long either. So I was very driven to write a poem to just express how I felt and express that fear that was there in 2008." With the 16 Days of Activism against Gender-Based Violence coming to an end on Dec. 10, Tenasco, now a student at Quebec High School in Quebec City, shared her story with Alison Brunette, host of CBC Quebec's Breakaway. You performed that poem in the form of a slam in front of your high school. How did your fellow students react to it? Well it was more or less the teachers that understood it a lot. They felt really impacted by it, and they said 'Mia it was a really good poem'. It really hit my heart. I understand also that a lot of kids, they're kind of ignorant, so they don't necessarily know what was going on and I don't judge them for that. I didn't even know what was going on before I wrote the poem. So I just understood that the teachers got it, the people in power got it and they understood what I was trying to say. In the video, you let yourself become quite vulnerable when you're talking about your ancestors who were subjected to residential schools. Why was it so important for you to be open and honest in that way? I knew that so many people were going to see it, and there are so many youth that keep that kind of feeling inside. I'm privileged enough to not have lived through that kind of intergenerational trauma that a lot of kids my age have. They have to deal with that for the rest of their lives. And for me it was just important to show them that this is the kind of pain that I feel for somebody who has seen this firsthand, but who hasn't gotten the chance to talk to somebody about residential schools, or talk about someone that's gone missing in their family. It's something that people need to see and really consider — this is the kind of pain that Indigenous Peoples are going through. It's still there. It's not disappearing and there's no reconciliation right now that's going forward. But I find we're trying very hard to do that. And that's what I'm pushing for as a youth. I hope that the youth of my people and the youth of everybody here in Quebec can see that, because we need everybody to understand. You speak often about your mother in your poem and about how she protected you when you were younger. Can you tell us more about how she has become a role model for you? She's my inspiration. I know she's gonna hear this and think how cheesy it is, but really she's inspired me throughout my whole childhood. She's made me the person that I am today because of how strong she is and how much she was brought up in that kind of pain. Her ancestors went to residential schools and that trauma carried onto her family. The fact that she could rise above that and teach me and my sister how to be better people and how to how to put our voices out there is what inspires me every single day. We're speaking to you on the anniversary of the deadly mass shooting at École Polytechnique, in December 1989. You weren't even born then, but you've taken up the torch in the hopes of ending violence against women. What do you think young teens like yourself can do? We really need to talk about it within our education system. There needs to be a time and a place for us to talk about these kinds of issues. And I think it should start at the high school level because during that time, I feel like there's a sentiment that women are vulnerable and inferior. I feel like that stigma should stop and we should teach it at a pretty early age so that boys and girls can understand that, understand we are equal and that we should not be treated unfairly or get killed because of our genders. This year's theme for the 16 Days of Activism against Gender-Based Violence is #MYActionsMatter. It invites people to take concrete steps to speak up against acts of gender-based violence. Do you have examples of actions that you take at your school and in your life? I just try to put myself out there and I don't think I'm less of a person than any male. I think that I can do as much as they can. I think that I push for what I need to push for, and if I want to do something I'm going to do it. I'm not going to be put down by any person in power who is male. If I want to be that person in power, if I want to do the things I want to do, then I'm going to do them and I should not be treated as inferior because I'm a woman. That makes no sense to me as to why women would feel like that because of these men. This interview has been edited for length and clarity. You can hear the full interview by clicking here.